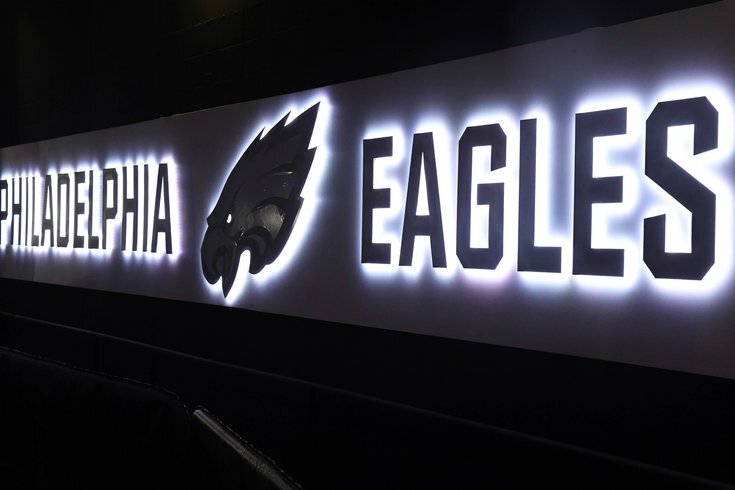 This is a sign that says "Philadelphia Eagles." Every year, I map out the Eagles' locker room, typically on the first day the media has locker room access. Some people like it. Others think it's dumb. If you're among the "it's dumb" crowd, you shouldn't have clicked on it. If you did, you hereby forfeit any and all criticisms of this post, seeing as you knew full well what you were clicking on. Anyway, the 2016 seating chart may have revealed that the Eagles intended on selecting a quarterback in the draft. Literally a day later, they traded up to the No. 2 overall pick. This year's seating chart will provide no such insight. It's just a map of where everyone's locker is. On the chart below, the players at the top of the chart are in the back of the locker room. View the chart below as if you're walking into the locker room from the bottom of the chart. At 53 man cutdowns, the middle rows will be removed and all 53 players (plus 10 practice squad guys) will fit in somewhere along the left or right walls.